… to house an inmate? 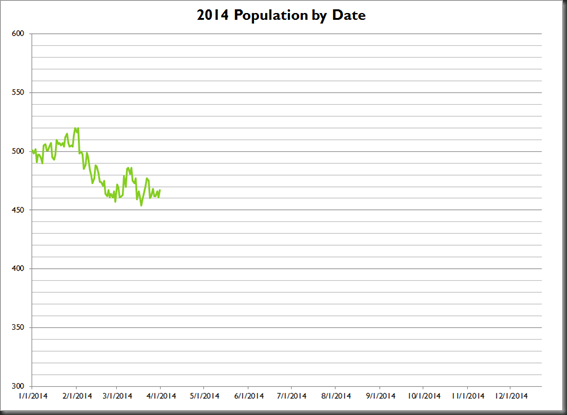 The chart below depicts the daily population numbers for the Wichita County Jail for the first three months of 2014. As always, information on currently incarcerated individuals may be found here. So far, the maximum population this year for the jail was 520 while the lowest number of people in jail is 454.